If you have arrived here, you are looking to make a change in your life, an investment in your future, that allows you to translate your efforts and energy into a payoff for your family. Welcome to MARBLELIFE ®. We are in the business of delivering “WOW” results to our clients. When our team completes a project there is no doubt as to the value we have created. It is visually apparent, and impressive, and generally comes at small fraction of the alternative, and results in both a greener outcome for their lives and their pocketbooks. 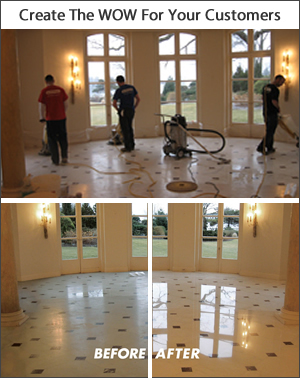 Whether restoring a marble floor from worn to its original high gloss appearance, or eliminating stained grout not just by cleaning, but by addressing the root cause so that it is gone for good. Converting concrete from a powdery surface to mirror reflecting surface that reduces dusting. Artfully terrazzo damage and cracks so they blend into the background restoring a beautiful appearance. 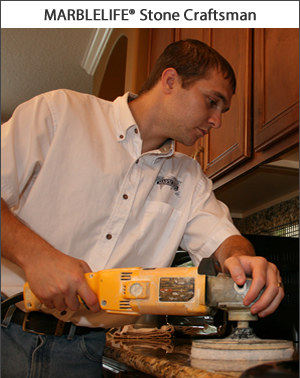 Today we are the largest network of certified craftsmen in North America. While we are the largest network of certified craftsman in North America, we still have open markets, and are still looking to add a few more partners. If you can imagine yourself proudly delivering this type of a WOW to your client, give as a call (888) 991-3050. If you want a business that is differentiated, has an established brand, 25 + years of proven success, relationships with nationally branded accounts, that delivers a result you can be proud of, allows you to earn and keep the fruits of your labor, and do so with the support of an internet team, marketing team, front office support team, and ongoing research and development so you can focus on growing and doing we may be your new home. If you know you could sell a national account, if only you had the application network, this is your opportunity. Plug in, and benefit from your sales abilities. If you love to work with your hands and deliver beautiful results and stunning compliments, this is a business that will make you smile with the client and with your banker. We are looking for motivated reliable partners committed to provide our clients a quality service in order to complete the build out of our North American network. If this sounds like a fit, contact us today. If you like what you see, review the start-up requirements to launch a successful MARBLELIFE office and complete our contact form. Do your homework. Learn all you can about MARBLELIFE and your opportunity to join this niched market. Time to sign a Franchise agreement, officially join the largest hard surface restoration team in North America, and become business owners. Are you looking for a business you can be proud of? A business that can deliver customer “WOW” visual results with solid margins, rising demand, plus the support a new business owner needs to launch? Then you are a fit. Give us a call and explore what your life might be life as a MARBLELIFE business owner. We provide residential and commercial clients solutions to every day hard surface problems that work. MARBLELIFE addresses the root cause, and solves the problem, and in doing so create better solutions and strong margins supported by high customer value. We provide better ways for our clients to manage their hard surfaces. From restoring marble to its original gloss or sheen, eliminating grout staining, replacing the never-ending wax-strip and repeat cycle on vinyl, polishing concrete to eliminate dusting problems, creating healthier interior environments at a fraction of the cost of replacement. We deliver WOW results form clients every day. Our only problem is that we need more salespeople and applicators. 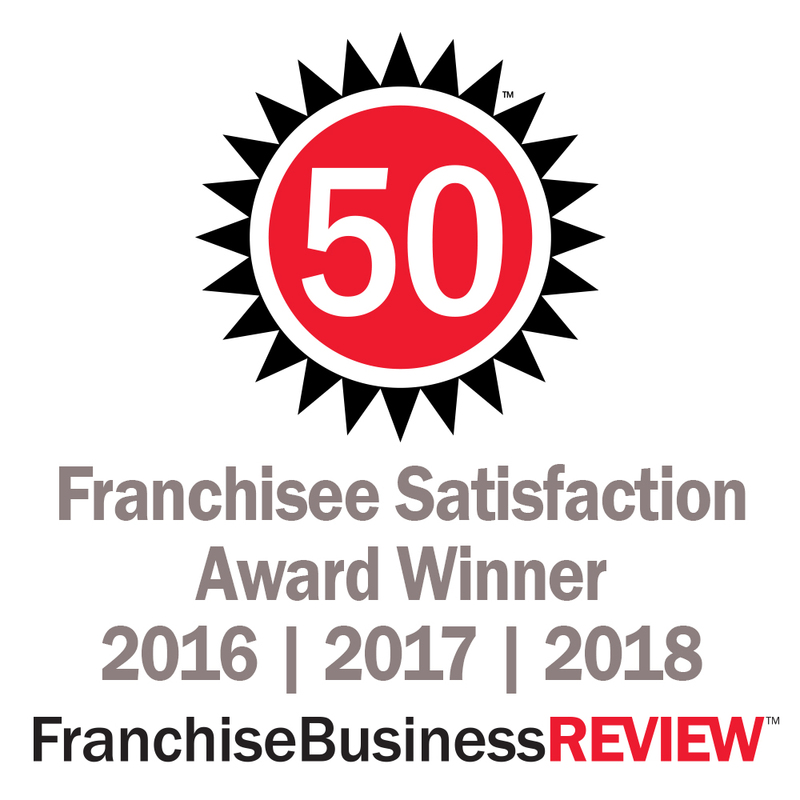 We see the franchise model as the best path to delivering our services efficiently to our clients. Unlike many service businesses a recession simply slows the growth of demand, for if but one sqft of additional tile is installed, or one building is built, unless people stop walking on floors, those hard surfaces are still wearing and the demand for our services is growing. With the recognition that indoor environments can contain more health hazards than the fresh air outdoors, the attention to maintaining a clean, easy to maintain, healthy indoor environment has never been greater. 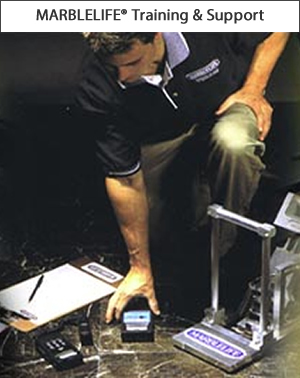 MARBLELIFE®’s portfolio of solutions and services address this need. 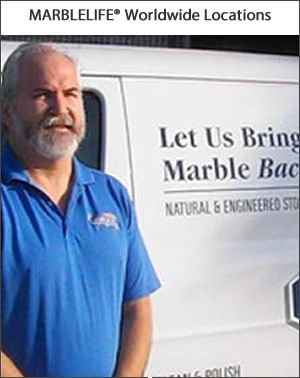 Sure we are known for restoring marble to its original pristine and beautiful appearance, and taking on granite and terrazzo restorations that untrained independents are afraid to approach, but we also work with hospitals to reduce secondary infections through our tile restorations designed to prevent dirt and debris from entering otherwise porous grout, or our efforts to replace waxes with semi-permanent treatments that eliminate the need for buffing and scuffing.